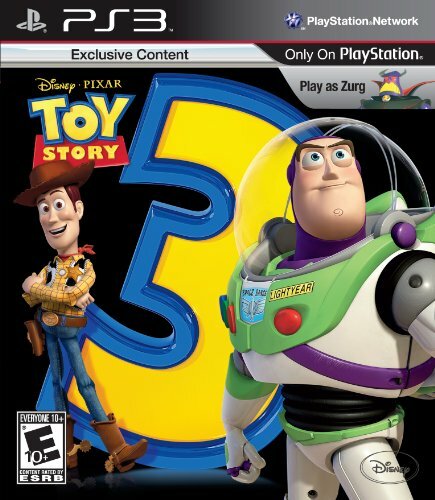 Based on the Pixar film three-quel and produced by Disney Interactive Studios, Toy Story 3 is a 3D adventure that sets high-spirited action and mini-games in the world of the film series. The game's "Adventure Mode" follows the story of the movie, with players guiding Woody, Buzz, Jessie, and their gang to meet new toy friends and explore new places, as they embark on a long and challenging journe... See morey back home to Andy's room. Also central to the play of the game is an open-world "Toy Box" mode, in which players can mix and match parts and pieces from different toy sets, to create their own characters and stories. Players can assemble cowboys, space rangers, dinosaurs, and other dolls and action figures, into new adventures through an interactive playroom. Toy Story 3 is released alongside the summer 2010 theatrical debut of the film.